Carefully compiled by the WineGB technical adviser, Chris Cooper, this is an essential handbook for anyone with a vineyard. All On and Off Label Approvals for grapevines in the UK are listed, with detailed usage notes for Off Label Chemicals. 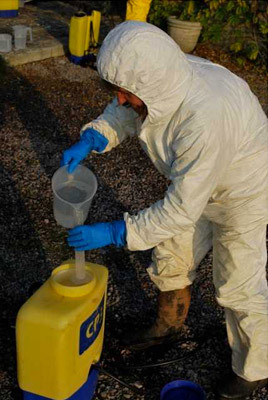 Guidelines on safe and effective usage, additional notes on avoiding resistance build up and a suggested spray programme are all part of this publication. 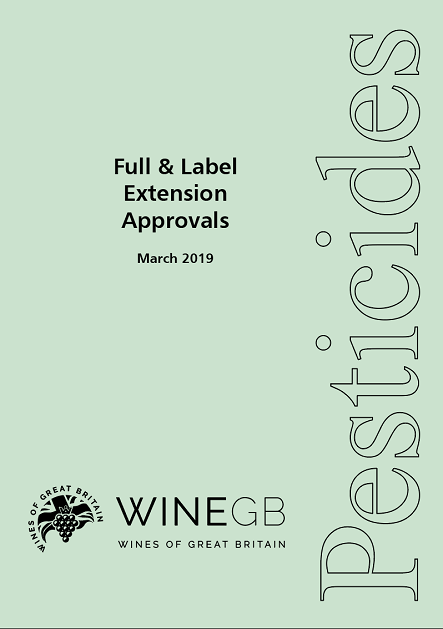 The Pesticides Book is issued each Spring and is available free to all WineGB members. Members should keep The Green Book, and any amendments and new approvals, to hand for their own use. It is helpful, too, in demonstrating due diligence. Sprayer MOTs are now mandatory, and need to be done every 3 years. This doesn’t apply to knapsacks and there a few exemptions for other sprayers: New sprayers don’t have to be tested for 3 years; sprayers previously tested before Nov. 26th 2016 will be exempt for 5 years. You need certificates of competence to apply Plant Protection Products (PPP’s) with a sprayer. 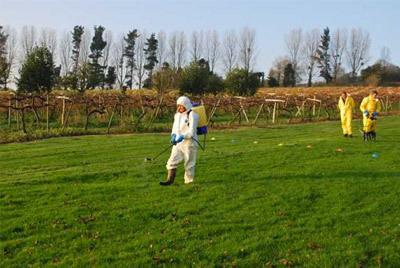 You must undertake training and pass the relevant Pesticide Application (PA) exams. Courses cover the Foundation Module for Pesticide Application (PA1), followed within a specified time by another PA module depending on the equipment you use: PA6 for knapsacks, PA3 for air-assisted sprayers or PA2 for tractor mounted or trailed herbicide applicators. An exemption, known as “grandfather rights”, for those born before 1965 who only applied PPP’s to their own or their employer’s crops, ceased in 2015. If you had grandfather rights but have not passed the relevant NPTC PA exams, you must attain the Level 2 award in the “Safe Use of Pesticides” (PA1b). This allows you to apply PPP’s but only to your own or your employer’s crops or land. There is a considerable amount of technicality in applying sprays to vines, to get optimum coverage, efficiency, safety and costs. Dr Andrew Landers from Cornell University, USA, provides comprehensive practical advice on his website and book, ‘Effective Vineyard Spraying: A Practical Guide for Growers’. Also watch Dr Landers’ talk on effective spraying “Waste not, Want not”. NPTC: City & Guilds Land Based Services offer Certificate of Competence qualifications in the land based sector. Details of the qualifications scheme can be found here. Find your nearest training centre.